More than Just a Piece of Gum: Extra life, Extra love. Meet Sarah and Juan, a pair of high school sweethearts who share their life of ups and downs with us over a short two minute video. At the time of this posting, the two characters of Wrigley’s Extra Gum’s newest commercial have raked in over 11 million views. By any standard, that’s not bad for a gum video! There is a real question of how a story of life events can resonate so much with the public. When you think about it, the answer is pretty simple. A portion of Sarah and Juan lies in all of us. Sarah and Juan’s experiences are universal. It's hard to forget “the love connection” that comes from the first engaging glance, that first special date, or the special invitation to the prom. For a young person (teens/young adults - the main target for chewing gum), it is also exciting to think about a high school sweetheart that you could end up sharing your life with... including having children! Whatever the case may be, love is a universal theme and we all have that one person who we will never forget. In the video, as the story of Sarah and Juan progresses, the viewer is reminded of his/her own romantic relationship - from the first argument and making up - to a love-of-a-lifetime proposal. But why would so many people be interested in a video that is a replication of our own lives? From the way I see it, we relate to the characters and their emotions. There is also an extra piece of idealism in their world that we all long for. Through all of those ups and downs, it is Sarah and Juan’s fairy-tale ending that we’re all searching for. When watching the communication, I couldn't help but think of how much a little thing- like a piece of gum (Extra gum) can play in making life so much better. 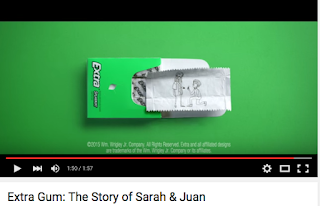 In the case of Sarah and Juan, a stick of (Extra) gum was the first "flirt offering" (sharing a stick), made the first kiss that much better (fresh breath! ), provided the peace offering after an argument, and was the catalyst for a happily ever after proposal. Not bad for a piece of gum. Wishing all you gum chewers that extra squeeze in life and love that comes from a stick of gum. 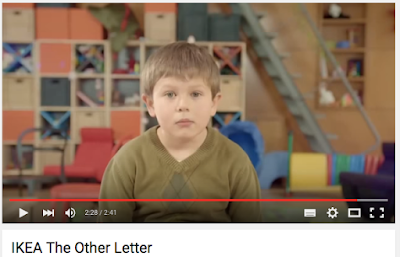 Every once in a while you come across a truly spectacular communications piece. the "territory of the mind" that IKEA carves out here to the warmth of the family home, the home of love that can not be replaced by things. "Cuz I don't need boxes wrapped in strings, and desire my love and empty things..." (Better Days, Goo Goo Dolls). I can forgive the early Christmas release of this ad because furniture is a big ticket item and requires a little extra time and budgeting for a family. So here's the ad. Enjoy. 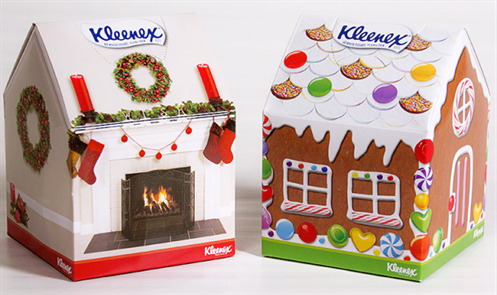 Oh, and here is a box of Christmas Kleenex that you might want to have while watching it. "I don't like any of the major banks. They open up after I go to work. They close before I finish my work. And while they have record profits, their pens are always out of ink and chained to the desk. The environment is impersonal and so transactional." This focus group, of course, was in the pre-internet banking era. But still today, brands from the banking industry rank among the lowest of all industries. The average Canadian banking brand according to 5 years of data I have collected on www.BrandMojo.org fares only slightly better than tobacco and energy brands- and about the same as telecom brands. This is a shame. Banks should not anywhere close to brands that kill and pollute. Most major banks in Canada don't get it. I'm pretty sure most people are not richer than they think (Scotia Bank). 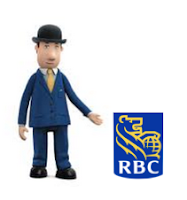 I'm also pretty sure that the little fellow in a banker's hat does not evoke the warm the fuzzy feelings that I suspect the agency is trying to deliver with the Royal Bank character. The banks that have a significantly higher rankings according to my research is the TD- and some Credit Unions in Western Canada. They do something differently. What makes the TD a cut above, at least from my personal experience is that the bankers their understand that banking is not about finance. Banking (and bankers) is what enables a person to follow and reach his dreams. The bank helps an individual finance his degree not for education's sake, but for him to achieve his dream job. The bank is the institution that doesn't finance a house, but it enables a nest for a mom, a safe home for junior, and a feeling of provision by dad and mom. The bank is company that helps family support long-term care for a loved one so that the loved one receives the best possible care possible. And finally, the bank is also the place to deposit the first monies of a bank account for a baby- not just a secure depository, but a jumpstart in life for the dreams that parents, Godparents, friends and family want for the blank-slate life. In short, the bank ought be an emotional safe haven. The trust of a bank is not just the security of "not losing my money" , but of having a trusted banker guide you on ever step of your major life's journey's and dreams. In this context, bankers should be as as much people people as finance people. Most major banks don't get this. But my local TD branch sure does. 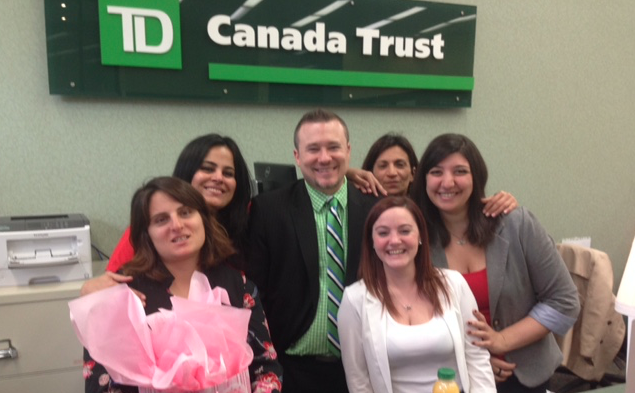 A few weeks ago, I popped in to my local TD branch to open up a bank account for our new baby. It only took a few minutes to open the account- but the staff greeted my wife and I with open arms and a gift-wrapped parcel. "Here's a little something for your little daughter!" The staff had pooled together some donations, bought a baby-gift-pack and wanted to share in the excitement of our new milestone. It was so touching. It still moves me thinking about it. I love my bankers. My TD branch understands me. They get my family because they are, in a way, part of my family. I'm not richer than I think. I don't want some dude in a bowler hat. I want them around me to help me build my mortgage to build my home for my family and jumpstart a great life for our little one. I want my bank to be with me and my family on our journey through life. #6 Apple Inc in 2015 (2015). 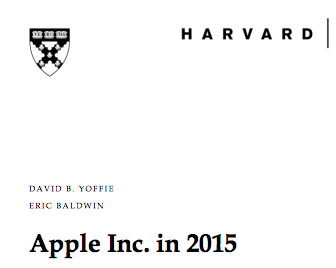 Apple is mind-blowingly successful, we all know that. This spanking brand new case provides a nice historical context on the brand but looks at the new realities for the brand. 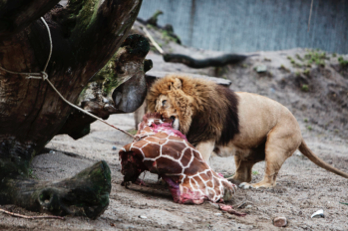 What should the strategic new product plays be? There is a healthy debate to be had over where Tim Cook (and his different skills than Jobs) should take the brand. #5 Land Rover North America, Inc. (1995). I've always liked Susan Fournier's work. If you are a brand fan, then you'll probably know her work on brand relationships. Here she writes an interesting case (with a lot of consumer behavior data) on Land Rover Discovery. There are super discussions to be had here on brand personality and managing brand equity across borders. #4 Coca-Cola's New Vending Machine: Pricing to Capture Value or Not? (2000) Here's another oldie but a goodie. This 9 pager brings issues related to value, public relations and pricing through Coke's drink machine that changes price based on the temperature. You don't see many of these drink machines around- and this case lays out simple communication and pricing issues in an easy-to-digest format. #3 Lufa Farms. 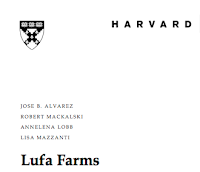 (2013) Lufa is a very interesting company founded by its CEO Mohammed Hage. The company develops farms on commercial rooftops. The case tackles how to scale and a capital intensive entrepreneurial company with a superior (fruit and vegetable) offering. I'm a little biased to this one too for a few reasons. 1) Lufa Farms is a Canadian company. 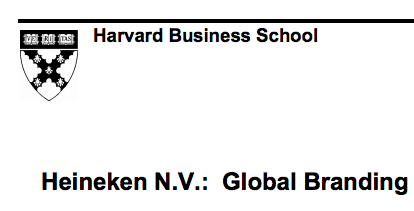 2) The CEO is a great guy (the team is nice too!). 3) Check the authors and you'll figure out bias #3. 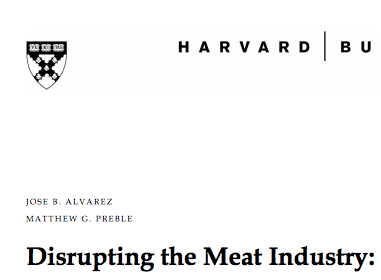 #2 Disrupting the Meat Industry: Tissue Culture Beef. (2015) The subject matter of this case- meat grown in a lab- seems right out of a futuristic movie. But, readers of the case learn just how close the Sergey Brin backed company is making cultured beef a reality. I like this case so much because it gets such visceral reactions from so many case discussants. The implications of the cultured beef are potentially majorly disruptive from farming to supply chain to consumer but, the benefits are numerous- from more environmentally friendly production to animal welfare. In addition to having great marketing debates, there are lots of "what does the future hold" discussions that also launch. And how can you not love a case that starts off with this quote from Brin? "Some people think tissue culture meat is science fiction... I actually think that's a good thing. If what you're doing is not seen by some people as science fiction, then it's probably note transformative enough." what I really like about the case is that it cuts to the heart of brand values- and what constitutes a "global brand", if there really is such a thing. The case being from 1995 isn't such a bad thing either. Students can track the "values" via advertising in international markets over the last 20 years.